this is part II in the “wrong side XI” series, where i’ll be selecting my very own starting eleven, assuming of course that i could choose any player from any team in the world. you can read the rules i’ll be following to make my team selection, and what formation i’ll be squeezing them into, on the first post in the series. reina, casillas, hart, lloris and howard all make my shortlist. There was a position that I didn’t address in my first post, but let’s be honest… it’s the only position on the pitch that is never really affected by formation changes. I’m talking about the man at the back guarding the sticks: the goalkeeper. When I first started the project of picking my first XI, I thought that picking a goalkeeper would be one of the hardest spots in my line up to fill. It’s not like picking for your marking backs, where if you like two players about the same, you can pretty much start them both. After all, only one keeper plays at a time. On top of the difficult task of selecting a single man to fill this spot, you also have to be cognizant of the reliability and mental strength of the player you end up selecting. Keepers face monumental amounts of pressure, often facing complete blame for conceded goals that should rightly be blamed on the poor defending in front of them. And while everyone makes mistakes from time to time (england will forgive you, Robert Green), your goalie should be able to bounce back from his mistakes and learn from them. So who makes the cut? Listed below are the candidates that i considered to fill my number one. yes, a french goalkeeper makes the shortlis. Despite attracting earlier interest from Manchester United, Sir Alex seems to be leaning towards Spanish and German options instead. If Sir Alex is wary, I think I should be too. Lyon are struggling a bit domestically this year, currently out of the Champions League places. He’s French, and the only person i can envision when i think of French goalkeepers is the miserable Fabian Barthez. While I think Lloris is a class above his compatriot, I can’t help but worry he’s got Barthez shakiness in his DNA. timmay is having a bit of a down year. Timmay will no doubt be the only American that comes close to being named in this squad, and I can’t help but wonder if I’ve got him on my short list simply out of patriotic sympathy. Despite an early season run of form where Howard’s Everton were in the relegation spots, the team has rebounded and maintains a respectable 1.32 goals against average, and that is due in large part to Howard’s net minding (with all due respect to Phil Jagielka and Leighton Baines). Howard is also well known for his ability to save penalties, as well as for his ability to quickly and accurately distribute the ball. So why am i not selecting Howard? For one, my probable patriotic sympathy has convinced me that if I were to pick him, it would be by emotion instead of by logic. Secondly, with a few top level teams in need of a new no.1, it’s odd that Tim’s name hasn’t been linked at all (perhaps due to Everton’s aversion to selling him?). That’s enough to make me scoff too. short sleeves and a snood? not on my team. What can you really say about a keeper, that’s been the starter for his club (and it’s not like we’re talking about a Bolton or a Xerez) since he was 20 and his country (and it’s not like we’re talking about Wales or Qatar) since he was 21? Credentials like that are hard to argue with. But it’s well noted that he has one of the quickest reaction times in the game, evidence by numerous amazing close range saves. 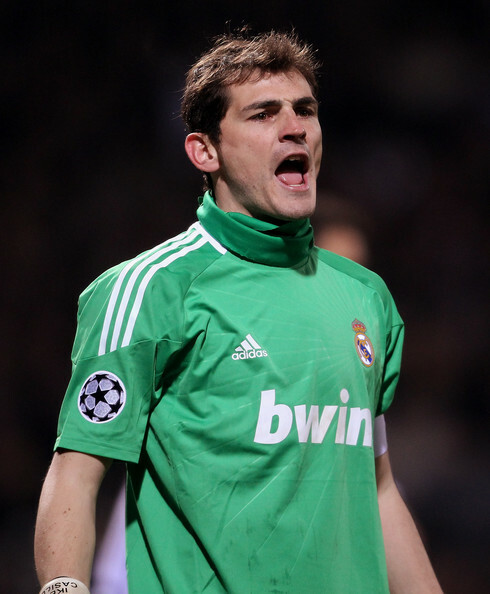 For a few years when Madrid refused to invest in the defensive portion of their squad, Iker was solely responsible for keeping Los Blancos in La Liga title races. I felt very conflicted not selecting Iker, partly because he’s been a favorite player of mine for so long, partly because I wouldnt’ mind having his girlfriend around the clubhouse, as she’s the hotter, Spanish version of Erin Andrews. I am hesitant to select him because of his tendency to spill balls away. Great as his reactions are, Casillas tends to bat shots away instead of holding them. for once, pepe finishes higher than iker... but not quite high enough. Poor Pepe is the perpetual international brides maid, despite being recognized as one of the elite goalies on the planet. Pepe has been Spain’s no.2 on both their European and World Cup championship sides, only standing in when Spain decides to rest Iberian golden-boy Casillas. But when not riding the pine for La Furia Roja, he’s been sublime at Liverpool, often keeping them higher in the table they deserve to be. Despite the club fraying at the seams the last few years, Pepe has proven to be invaluable member of an otherwise sub-par defensive unit. So why “no” to Reina? Though he’s suffered a good deal with a crap defense at Liverpool, he’s been very wishy washy on his commitment to the Reds lately. And frankly, I worry about selecting any keeper that can’t turn away a goal by a beach ball. joe seems pleased to be selected. Let me first admit that I’m a sucker for talent. General consensus tells us that a keeper doesn’t really reach the peak of his abilities until the age of 30, once they’ve had plenty of time to gain necessary game experience and positioning wisdom. But when one has the pure talent to perform at a high level at an early age, you can’t fault me for thinking big things are to come (ex: Iker Casillas). Joe fits this mold excellently, and is already receiving praise from some of the greats. The promise he’s been showing at such a young age and for such an extended period of time has me convinced he would be the right keeper for my Wrong Side XI. His athleticism is mind boggling, combined with a reaction time that rivals Casillas. His decision making, even for a younger player, is top drawer. Preventing a quality keeper like Shay Given from seeing the pitch and staking a strong claim for the revolving door that is the England no.1 spot are just a bit more evidence of Hart’s recent rise to prominence. And at 23, he still has at least a good 10 years left in him. 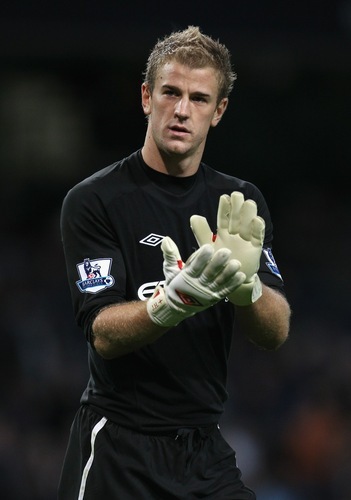 Since Hart would be an investment for now and the future, he edges out proven keepers like Casillas and Reina. so we have the first selection for the wrong side XI: manchester city's joe hart. Don’t like my choice and think I should have picked someone else? Well if you’re so smart, feel free to blow up the comments section below and give me your two cents. And be sure to check back next week for the next installment to find out who I’ll be selecting as for my favored position of left back… Spoiler alert: I didn’t pick myself. Hmm…as much as I hate to say it, Cech is better than Lloris. Controls his box better. Prone to bonehead moves every now and again, but Lloris gives up more than his share of soft goals and doesn’t deal well with crosses. I hate to say it, but I would probably take Julio Cesar over Timmay, who I would put at no 6. I’m glad you didn’t mention Neuer or Stekelenburg though, not yet there and very overrated, respectively. And I don’t know how good a judge SAF is of talent in goal, and to be frank I think he got lucky that VDS resurrected his career at Fulham after Juve dumped him, got his confidence back up and wasn’t his first time at a big club in the limelight, which I think tends to destroy lesser keepers. Roy Carroll, Ben Foster, Mark Bosnich, Timmay, Barthez and countless others have come and gone since the Great Dane, and only VDS stuck. i used to be a big admirer of cech’s, and i thought long and hard about including him on the shortlist. but ever since returning from his head injury a few years back, i feel like his decision making his become a lot more shaky. i wouldn’t say that he is hesitant to go into dangerous situations, but he does seem to second guess himself and get caught in no man’s land occasionally because of it. now that you’ve pointed it out, i completely agree with your assessment of fergie’s judgement of netminding talents. however, the guy that actually looks to be heading to old trafford (david de gea) appears to be a pretty special talent. from the few times i saw him play with atlético madrid this year he was impressive. very joe hart-ish though, rough around the edges but tons of promise. Have to disagree on your #1, yeah Joe Hart has talent and potential and youre looking for a long term keeper, Iker is still the man and I’d pick Riena #2. Hart has yet to prove it on the big stage, although I feel he will (probally be England’s best since Shitlon). Once he wins the CL or the Prem or has a strong run in an international tourny I can’t give him the nod. And don’t let your patriotism get in the way, put Timmy in there, I have no doubt he could be considered the best given the right team.